An undergraduate biology student recently had the opportunity to gain important research skills while gaining insight on a topic that is highly personal to her. "My father and grandfather are both diagnosed with type II diabetes, which is quite a common chronic disease in rural Indiana -- and really all around the state of Indiana as well," said Olivia Neese, a sophomore from Plymouth. According to the Mayo Clinic, type II diabetes - also called "adult-onset" diabetes - is a chronic condition that affects the way the body processes blood sugar, or glucose. The bodies of people with this condition either resist or do not produce enough insulin, and they must use treatments to regulate their insulin while also paying attention to diet and exercise. Neese credits her interest in studying biology to her enjoyment of science classes throughout her life and teachers who encouraged her, but it's her family that is the driving force behind her pursuit of rural health and diabetes research. "They were my first subjects to take my survey," Neese said of her father and grandfather. "I didn't want them to feel pressured to answer how I would want them to, so I just gave them the survey and left, and they gave it back to me later." Neese suspected people in Marshall County, Ind., rarely followed their prescribed treatment plans, because they did not fully understand what medical professionals expect them to do. Financial costs and disliking treatment could also lead to these patients not following their doctor's recommendations, she determined. "At the end of my research, I was kind of looking back on it - if someone were to read this as a published article, how can we get doctors and patients to have an open conversation so that the patients realize what the exact treatment plan is?" Neese said. "So that doctors can learn what is happening in the patient's life -- and if these issues have an impact on their ability to adhere to the treatment plan." "At the IU School of Medicine, we feel that it's really important that we address this need for the future of Indiana and for the future of healthcare," Danek said. "The rate in which physicians are going into rural health is not matched by the need, and we hope that through the program, we are addressing that need." While the program graduates approximately 12 students per year, it is creating trained physicians who can understand the needs of rural communities by addressing social determinants. "Projects like Olivia's bridge the gap between medicine and public health, which is also something that we are interested in," Danek said. "The goal of the program is to help them understand and bridge that gap between just practicing medicine and really understanding the community." Neese said the project was a "fantastic opportunity" and prepared her to apply her skills to her future career by requiring her to conduct surveys and interpret findings for a scientific report. She does not intend to publish her study - she is still a sophomore -- but she says this experience will prepare her to conduct future research on diabetes. "I'm from a rural community, grew up in a rural community and went to a small school. So I feel like this rural community has really shaped the person I have become, and I'm really looking forward to going back to this rural community and serving the people who served me this far in my life .... I feel that given all these opportunities that I've had, it's kind of my responsibility to go back and to serve the people back home." 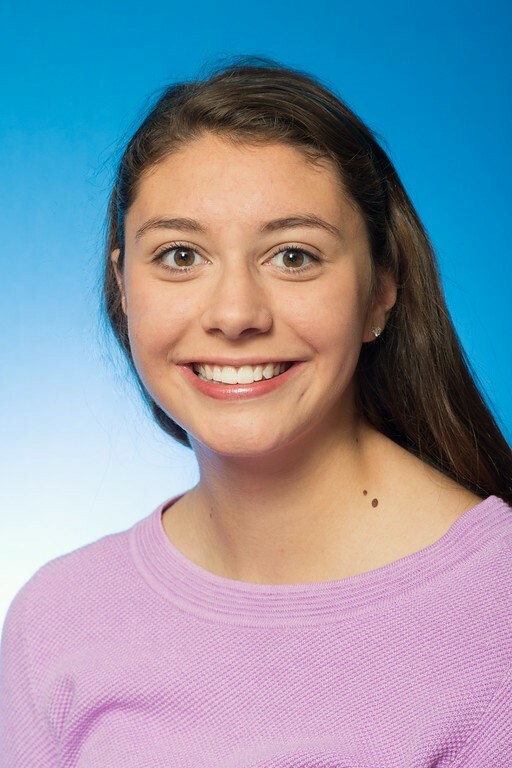 Olivia Neese conducted an independent research project on type II diabetes management and adherence to treatment plans through the Research in Community Health (ReCOH) program for undergraduate rural health B/MD scholarship recipients.